Here is a simple blue composite front door that we installed for a property in Daventry. This door was actually designed bespoke by the customer, who is an artist by trade. She found a colour and style that worked really well with the brickwork surrounding the door. She also ensured the decorative glass panel in the centre coordinated well with the rest of the door. She put a lot of thought into, not only the colour scheme and materials used, but also other features, such as the door handle. If you’d like a custom built frontdoor to uniquely match the exterior of your home, then get in touch with us today. 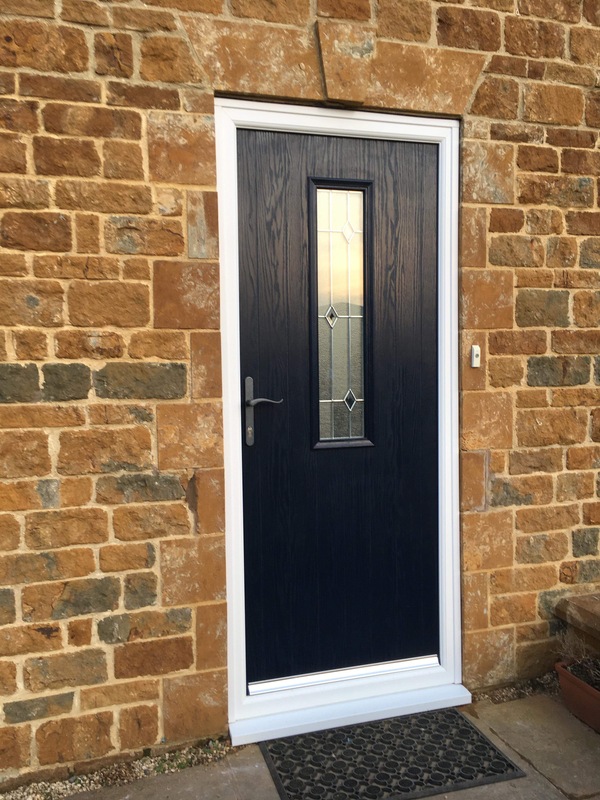 Alternatively, if you are simply just looking for a reliable, and professional supplier and installer of Composite Front Doors, then take a look on our website, give us a call or send us an email. "I designed the door in order to complement my home and create the perfect entrance. Danetre Glass did exactly what i asked and i love it consequently."